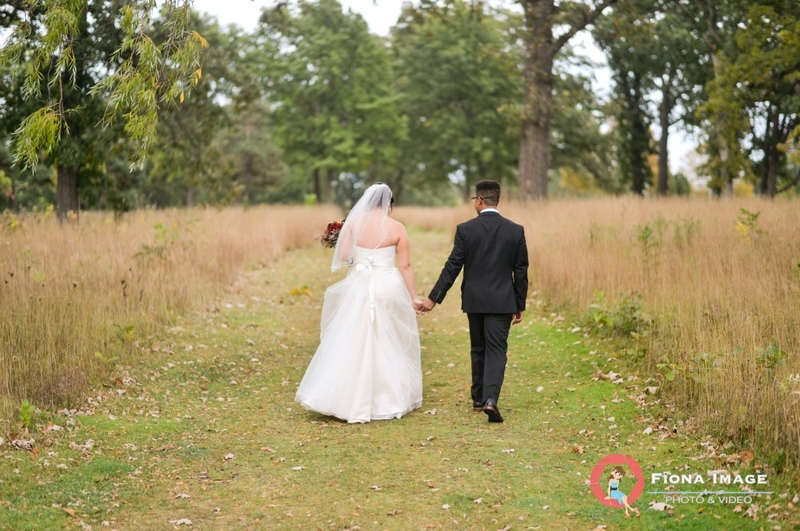 A traditional wedding just south of Chicago begs for fall colors and that just what the Fiona Image wedding photographer got for Michelle and Justin wedding. The couple wanted candid shots of their elegant wedding party set in the beautiful outdoors of Waukegan, IL. 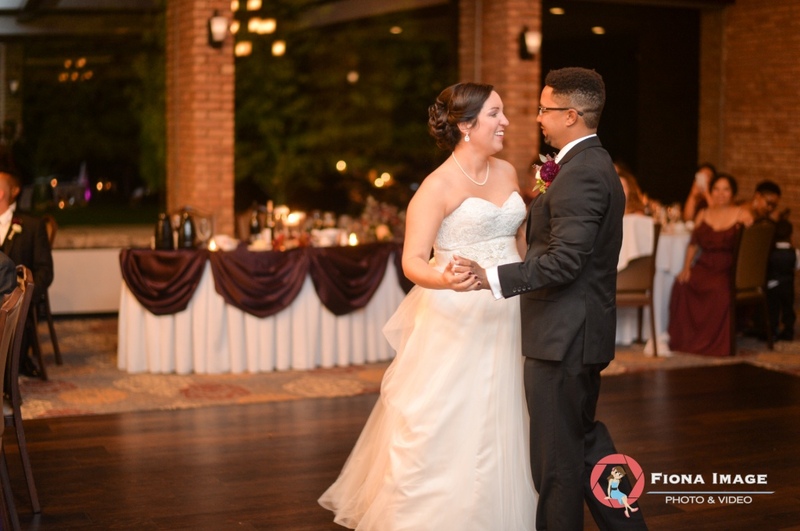 The Glen Flora Country Club says that ceremonies, receptions and rehearsal dinners are managed with the utmost care by experienced Banquet Staff. They can handle large events and intimate affairs. Waukegan, IL is just south of Chicago. It’s actually county seat and is considered part of the Chicago Metropolitan Area. There are nearly 90,000 people living in Waukegan, so it will have all of the conveniences your wedding guests have come to expect; however, it does offer a smaller town feel than the windy city. 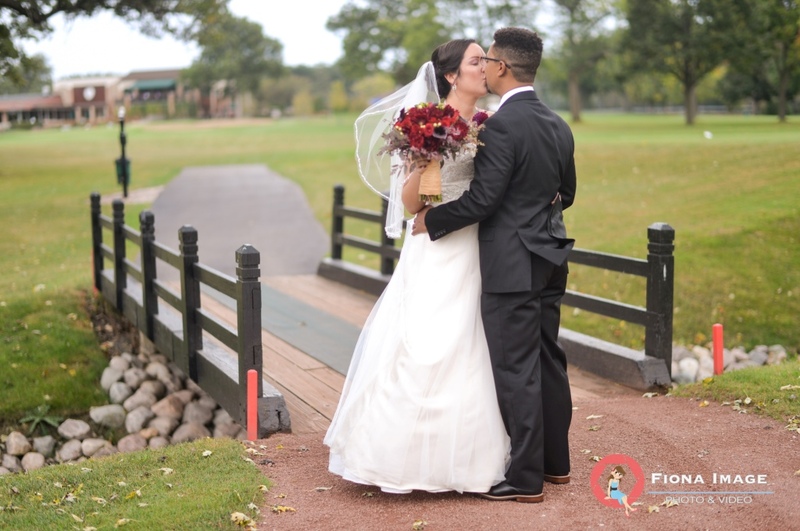 From golf and recreation to shopping and dining, the area surrounding Waukegan will accommodate just about anything couples may need ahead of the big day. If your traditional wedding is a destination wedding for your guests, they are merely a train-ride away from one of the most iconic cities in the country. Depending on your ceremony, your wedding photographer will have no shortage of scenery to capture your traditional wedding. Waukegan does offer park and water views. The fall was in full swing for Micelle and Justin, so they wanted to show off the foliage of the Mid-West. Depending on the time of year for other couples wanting to get married near Chicago, consider the sweeping city-scape views from the Skydeck Chicago or Signature Room on the 95th. Or maybe beautiful oasis of Lincoln Park. Chicago has thousands of acres of green space to choose from, art galleries dot the streets and museums are never more than a few blocks away. Your guests will have no trouble finding things to do surrounding the ceremony time. Food from the far corners of the earth is a mere stone’s throw away in this metropolis, they can cater to your guests’ every craving around the clock! 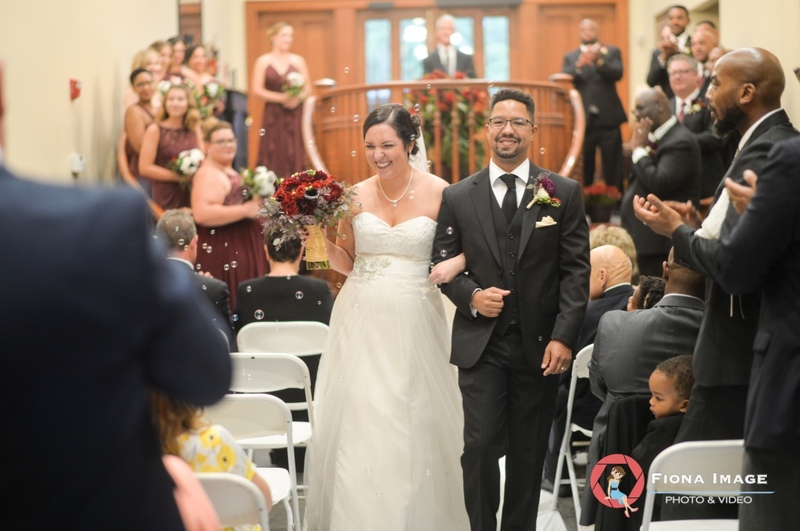 The traditional wedding for Michelle and Justin hit all of the right notes for their Fiona Image wedding photographer. They wanted mostly candid shots of their bridal party of 18 and 120 guests. If you are hoping to capture your moments professionally, contact Fiona Image, we can help you plan the wedding of your dreams.